SUPLA-CLOUD Server Software is now available for NAS server solutions by QNAP. SUPLA - New Server Software Version 2.1 is now available. SUPLA v2.0 has been released! SUPLA Project has just started! We are pleased to announce the new Profit CRM installation package version 2.9 has been released. The latest version has been improved with a Shipping management module, compatible with DHL shipping and management system. Moreover, all the modules included in version 2.8 of the Profit CRM package has been improved with over 180 new functions and features. The Microsoft SQL Server 2008 provided along with the installer has been updated to R2 version. 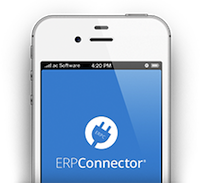 The new version of the ERP CONNECTOR for iPhone has been released in AppStore. Number of improvements and optimizations have been introduced in Version 1.9.4., i.e. offline operation, materials and stocks review. Additionally , functional side has been extended to include Purchase Order review and placing. New module supporting shipping management Version 1.0 has just been released! ERP CONNECTOR for iOS has been made accessible for OpenSource Community under the GPL license. All sources have been made available on GitHub servers. Within the next three months the ERPC sources will be released along with the controller sources to currently supported trade systems. We strongly encourage external developers to expand software, especially on next ERP systems integration. We are very pleased to announce that our cooperation with AUTODATA resulted in a presentation of our DOMOPHONE at the INTERSEC tradeshow in Dubai taking place January 19-21, 2014. 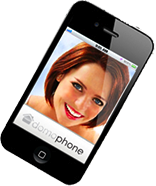 We are pleased to announce that the DOMOPHONE is now available in iSpot stores. Customers visiting the stores can test the unit on a dedicated testing "boxes". Demo units are released in all iSpot stores in Wroclaw since December 12, 2103. Shortly it will be available in the whole chain of iSpot stores. We are pleased to announce that the new Profit CRM Installer V.2.8 has been released. Current version includes over 50 new functions which has expanded Profit CRM software with a number of improvements for better Customer service, service management and telephone exchange integration, or has increased integration with external trade systems. Profit CRM Installer itself has also been affected with changes. Previous Microsoft SQL Server 2005 version has been replaced with 2008 and getting starter code for demo has been simplified to the maximum. It means the 30-days access code for demo version can be downloaded automatically, without filling the registration form in. To download demo code, the only thing required is access to the Internet. We are pleased to inform that ERPConnector is now available in Apple Store. This application gives a remote access to the data downloaded from the trade/ERP system using smartphones or tablets with iOS. Version 1.0 allows to cover such data as customers contact details , issued invoices or outstanding payments. Its functions enable users to view and print Invoices or send documents in PDF via electronic mail. Current version integrates with wide range of popular on Polish market trade systems/ERP. Profit CRM Version 2.7 has been improved with a totally new Service Module, build from the very beginning based on our Customers’ suggestions having wide experience in service of industrial machinery, hardware and cash registers. Few dozen of new functions and improvements has been implemented in version 2.7. Profit CRM licensing model has been extended enabling license assignment to work station or User (per User/per Device). Current software version is available on a Profit CRM subpage and through LiveUpdate system. We are pleased to inform you that today the first version of REC2011 software to monitor workstations has been released. You can find some more information here. In accordance with the Budgetary Act approved by the parliament and signed by the President dated October 26th new VAT rates shall be applied - 5%, 8% and 23%. Profit CRM has been adjusted to meet new law requirements. New version of our suit including new VAT rates is available through LiveUpdate system to all Customers having active subscription of access to server update! Here. We are pleased to announce that new version 2.5 of Profit CRM suit has been released. Previous suit has been improved with two new modules to operate Surveys and supporting training companies. Moreover, Profit CRM V2.5. 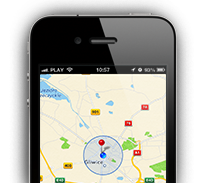 includes 500 new functions and improvements against V2.1. More information on new modules can be found in the description of Profit CRM suit. Profit CRM software available in the offer of Humansoft and partnership companies since October 26, 2009. Because of the agreement signed between those two companies, Profit CRM software will be extender with many new functions making the range of information exchange between Profit CRM and HermesSQL/Corax even greater. All of the Companies who made a decision to purchase our software by August 31, 2009 will be granted a special discount of 10% for Profit CRM license. After signing partner agreement with Studio AMB we have started a new project set out to integrate Profit CRM products with Mysklep Osc, enabling safe development and operation of a business in the Internet. This software is above all characterized with a huge flexibility in development possibilities and adjustment to individual needs of the User. Mysklep Osc meets all the basic requirements to freely carry sale of different products and services. We are pleased to inform that because we have signed an agreement with one of the leading leasing companies in Poland - European Leasing Fund, Customers interested in a purchase of Profit CRM software has been granted additional refinancing of the investment. Please do not hesitate to contact us if you find our product interesting. We are pleased to announce that we have set a partnership cooperation with Komputronik – Business Solution Department on September 19, 2008, regarding sale and implementation of Profit CRM suit. Komputronik has a strong and stable position on Polish IT market. This corporation is one of the top 20 companies on Polish ICT system market. After having Profit CRM V2.0- beta suit available to a small group of Customers, we are now working on a new official version, to be released in August. New modules: Business Intelligence, advanced authorization management at the level of objects and records, Resource management, Knowledge Base. Moreover, we are pleased to invite you to attend a trade show INFOSYSTEM 2008 during Poznań International Fair (pavilion No. 6, booth No. 17). During the meeting a presentation on Profit CRM will be given. If you are interested in taking part, please do not hesitate to provide us with your address to send the invitation. Due to a huge interest, we are pleased to invite you also this year to take part in the INFOSYSTEM 2008 Fair – IT for industry and administration, taking place in June 9-11, 2008 in Poznań. If you are interested please feel free to visit our booth in pavilion No. 6, booth No. 17 during Poznan International Fair. During the meeting a presentation of Profit CRM will be given. If you are interested in taking part, please do not hesitate to provide us with your address to send the invitation. We are pleased to announce that our company has been awarded with a medal in terms of "IT and electronics" for our software for SMB sector facilitating industry and contacts with customers management. “Profit CRM” in the “Innovations 2007” competition during the international fair “TECHNICON Innovations” in Gdańsk. We are pleased to invite you to meet us during TECHNICON Innovation 2007 Fair, taking place on October 23-25, 2007 in the International Trace Center in Gdańsk, Beniowskiego 5, hall No. 3 (Entry from Droszyński Street). During the meeting you will have a chance to see a full presentation of the Profit CRM software, new modules, features, etc. If you are interested in visiting our booth, some invitations are available. Please do not hesitate to contact us either by phone at (77) 439 94 36, or email: marketing@acsoftware.pl. Location: booth No. 3.11, hall 3. We invite you to attend a trade show INFOSYSTEM 2007 – IT for industry and administration, taking place 11-13 June 2007 in Poznan. Where our company will demonstrate Profit CRM system. Our booth (No. 74)during Poznań International Fair will be located in pavilion No. 9. We have some Invitations for our Customers for the show. If you are interested in taking part, please do not hesitate to provide us with your address to send the invitation (subject to availability).